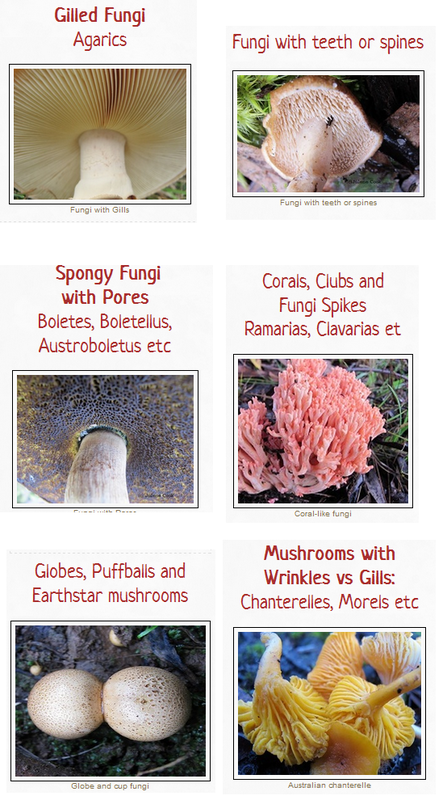 Clavarias are a type of coral fungi that have white spores an lack the branching structure of Ramarias. 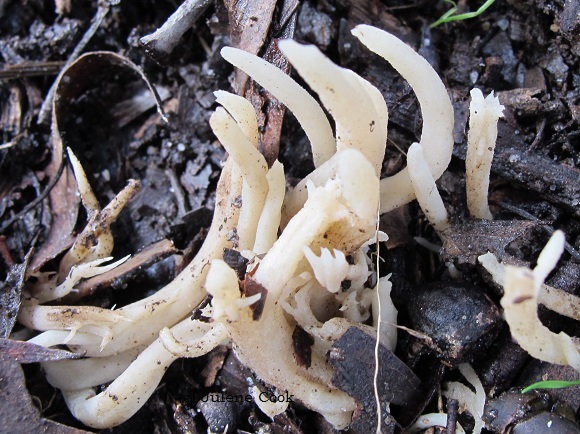 Clavaria amoena grows singly or in groups as bright yellow, slender and sinuous cIubs in Australian wet eucalypt forest litter. The clubs are 2-3 mm diameter and about 50 mm tall. 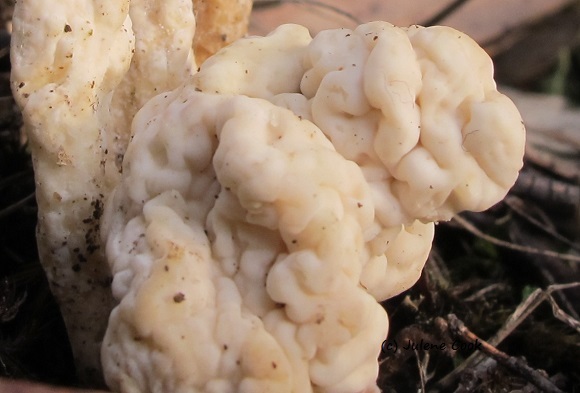 The apices of Clavaria amoena are rounded with slightly paler centres and the slimy clubs are fairly brittle with white flesh. 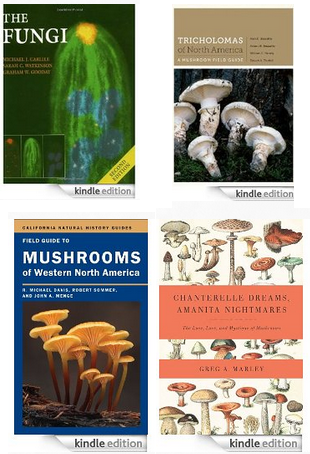 This fungi is probably Clavulina sub-rugosa which is described as variable in form, size and colour. It was about 75 mm tall and grew singIy or in this larger group in the litter of Narrow peppermint bushland. As seen in this photo, its texture is somewhat rough but quite soapy. 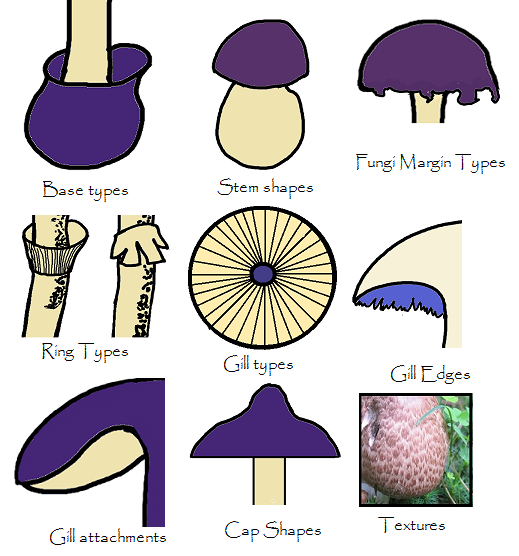 The apices were variable in shape from roundly tapered to knobbly. Plenty of mid-winter rain brings out small dusters of these little warming flame fungi amongst the leaf litter of the Australian eucalypt forest floor. 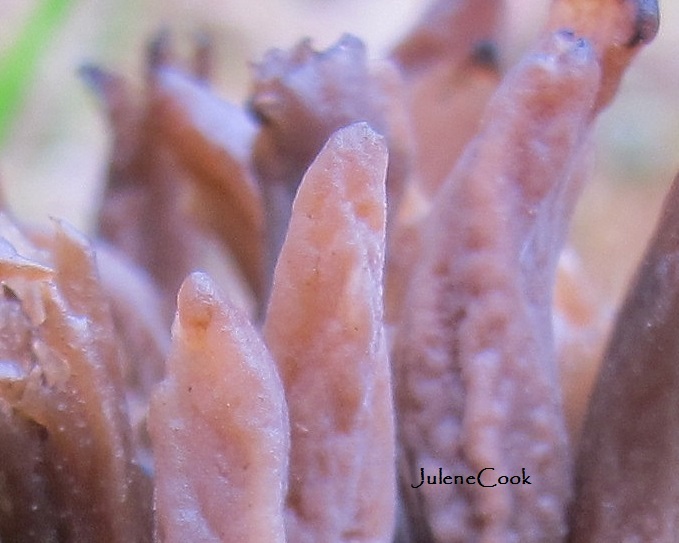 As can be seen in this photo, the apices of Clavaria miniata are quite pointed before becoming move rounded and ending up as flat-topped. 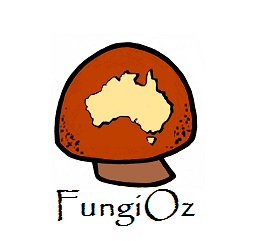 This very dark brown-purple fungi was found growing gregariously on Australian native grass with Laccarias, a ring of unidentified agaricus and other varieties close by. the colourin the photos is more purplish than the browner colour seen by the naked eye. It begins as a contorted mass of rugose tissue. As this photo shows, the contorted folds of the young fungus lengthen into dichotomous, long and curly arms that retain a rugose surface. The apices are rounded when mature. Multiple aborted branches can be seen on the main stem which is cream coloured and from which all the arms divide off. The apices then shrivel to blackish strands. 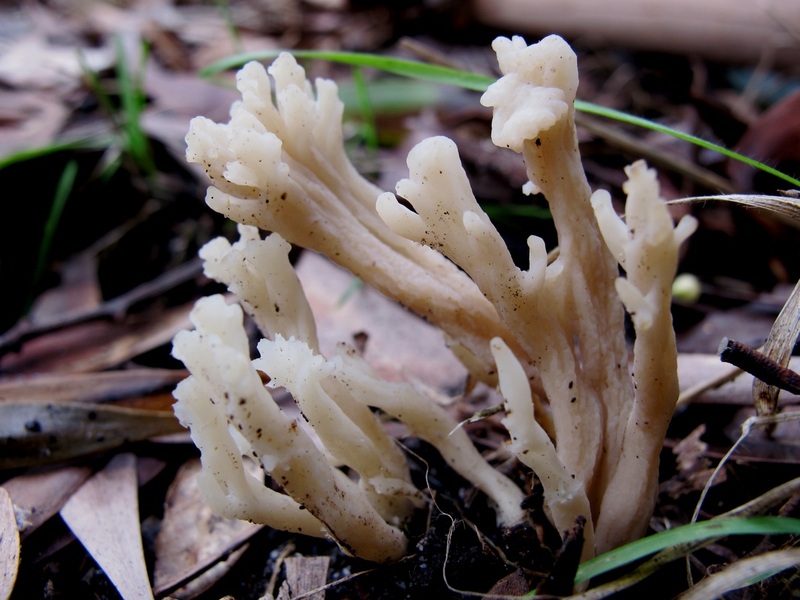 This coral fungi its probably introduced to Australia as it was found at the edge of a pine plantation and is listed as a European species.